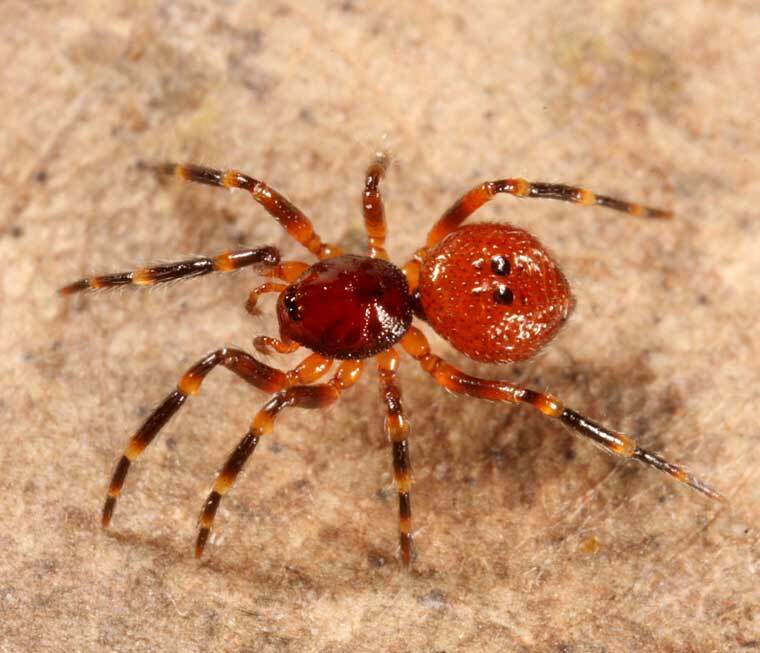 This small spider currently known only from Queensland is found in or near rainforest. It is normally a litter dweller, body length about 3mm. 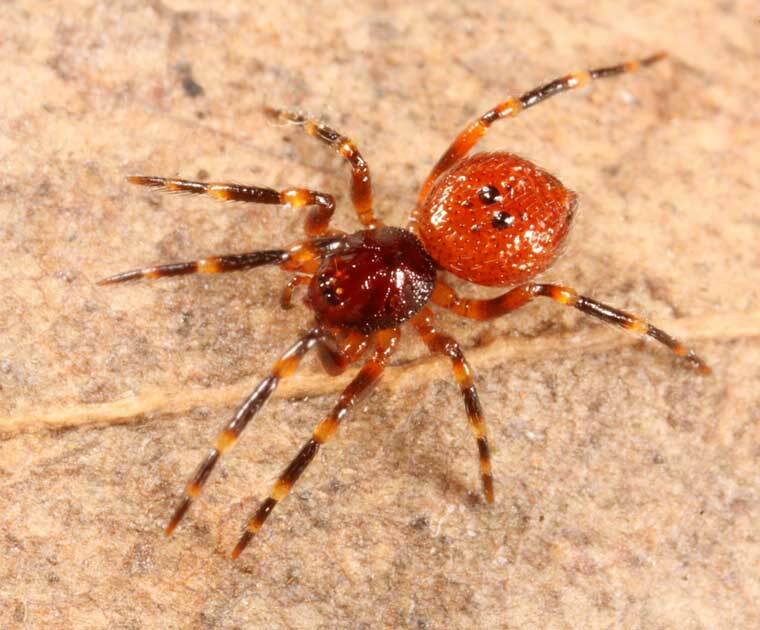 The abdomen is orange and the dome shaped cephalothorax is dark brown-red. The carapace is shaped like an inverted pudding bowl. Malkara loricata was described in 1980 by Val Davies, collected at the time by Robert Raven and Val Davies. Both the male and the female have macrosetae on the front legs and appear to develop sclerotized, pitted, marbled upper surfaces of the abdomen. The term loricata means covered with bony plates like an armadillo.